Actually, a Mudstang. 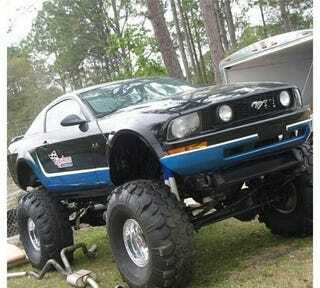 I saw an IROC Camaro lifted like this last summer. It was black primer. Now, south of my location somewhere north of Denver there's a lifted Corvair. That one I'll have to deliberately hunt down for pictures.